Information on the ECOGARD project was distributed and personally communicated on the intl. seminar “Povezani v izobraževanju za naravovarstvo” (Connected in the education for nature conservation) on 25.10.2018 in the Council of Republic Slovenia in Ljubljana. The event celebrated 10th anniversary of nature conservation education in high schools and colleges in Slovenia. 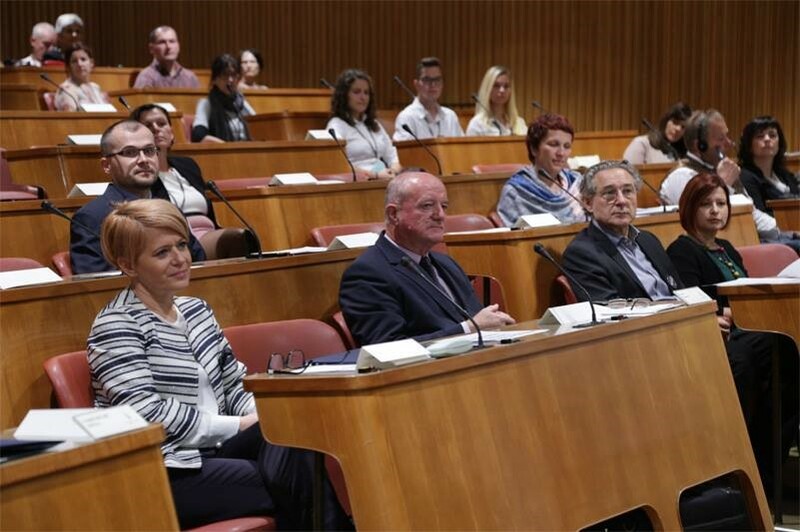 It was held under the patronate of the President of the Rep. Slovenia. ISD team presented the project during the discussion, distributed leaflets with web addresses and talked to individual participants. A member of SI NAB also participated as a speaker: Mr. Tone Hrovat, Director of Agri College GRM in Novo mesto (2nd from the left).